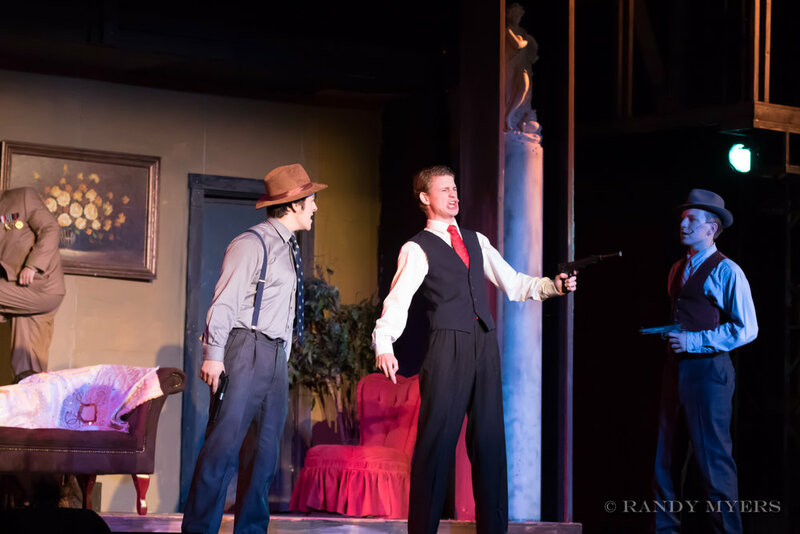 The Godfather meets The Producers in Bullets Over Broadway! 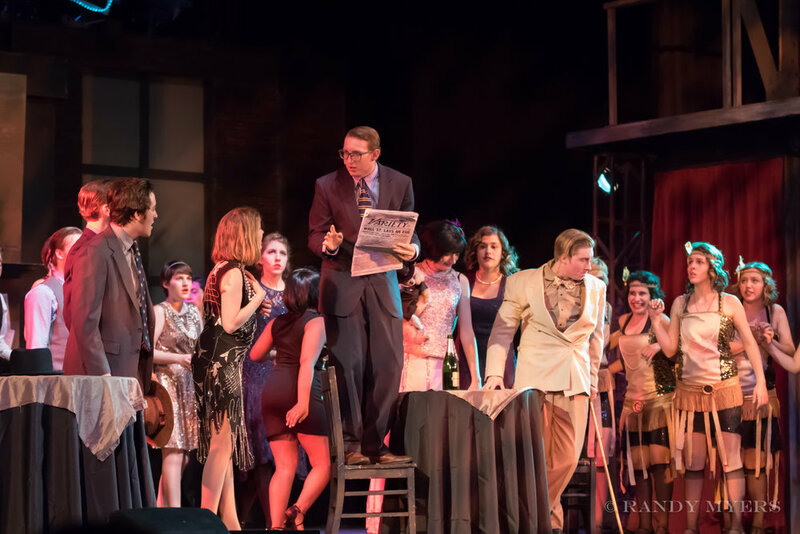 Woody Allen’s Tony Award-winning Musical Bullets Over Broadway, based on the motion picture, comes to Santa Barbara with a BANG! beginning April 28 at Santa Barbara High School, Santa Barbara’s nationally-recognized premiere high school theatre program. 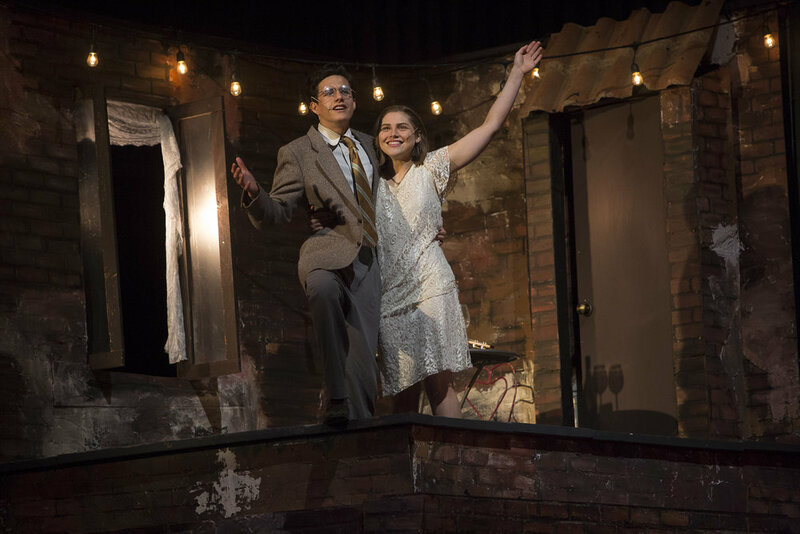 A young playwright in desperate need of financial backing accepts an offer he can’t refuse—from a mobster looking to please his showgirl girlfriend. Bullets Over Broadway is a love letter to the Golden Age of Broadway, filled with unforgettable songs like “Let’s Misbehave,” “Tain’t Nobody’s Biz-ness if I Do” and “There’s a New Day Comin’!” Loaded with big laughs, over-the-top characters and a high-stepping ensemble, Bullets Over Broadway is zany, splashy (literally! ), and fun, fun, fun! 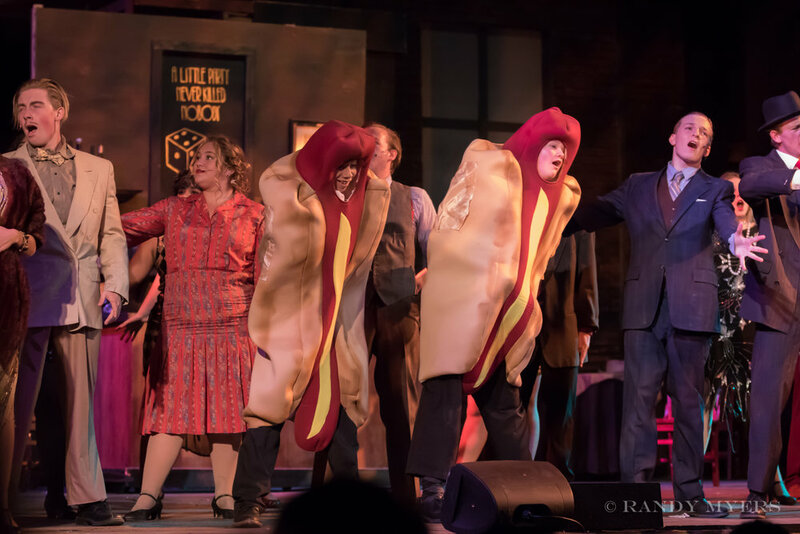 Showcasing sparkling musicals and amazing theatre, Santa Barbara High School is a magnet for great performers and designers, and this production is no different. 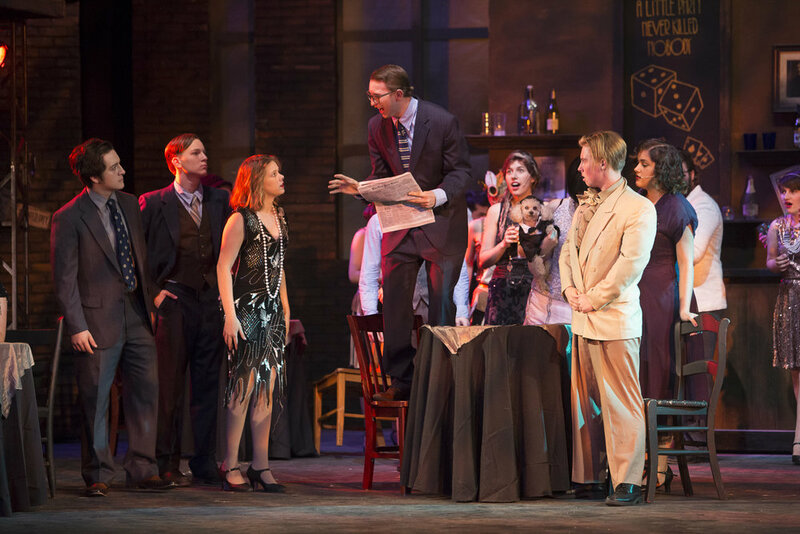 Directed and designed by long-time Artistic Director Otto Layman, now in his 21st year at SBHS, Bullets Over Broadway features the professional talents of Choreographer Christina McCarthy (Interim Head of the Dance Department at UCSB), Musical Director Dr. Jon Nathan (UCSB Jazz Ensemble), Vocal Director Sio Tepper (Young Frankenstein, Hair, and many others) and Costume Designer Bonnie Thor (Young Frankenstein, Pippin, and Hair, among many designs). 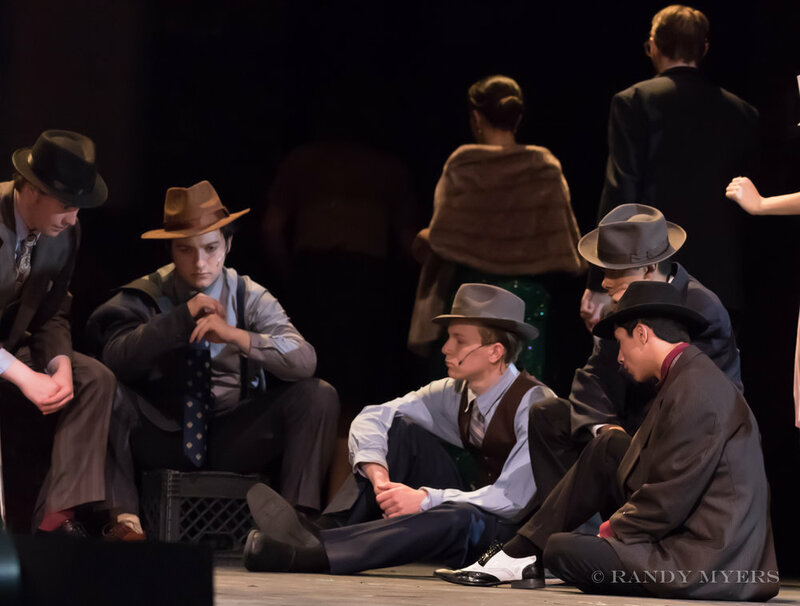 Featuring a star-studded cast of talented high school students, including Ben Zevallos (David Shayne), Sarina Wasserman (Helen Sinclair), William Blondell (Warner Purcell), Hazel Brady (Eden Brent), Lily Linz (Ellen), Cai Norton (Nick Valenti), Penny O’Mahoney (Olive Neal), and Cole Hanson (Cheech), Bullets Over Broadway is where the glitz and glamour of the 1920’s meets the electrifying talent of Santa Barbara High School. 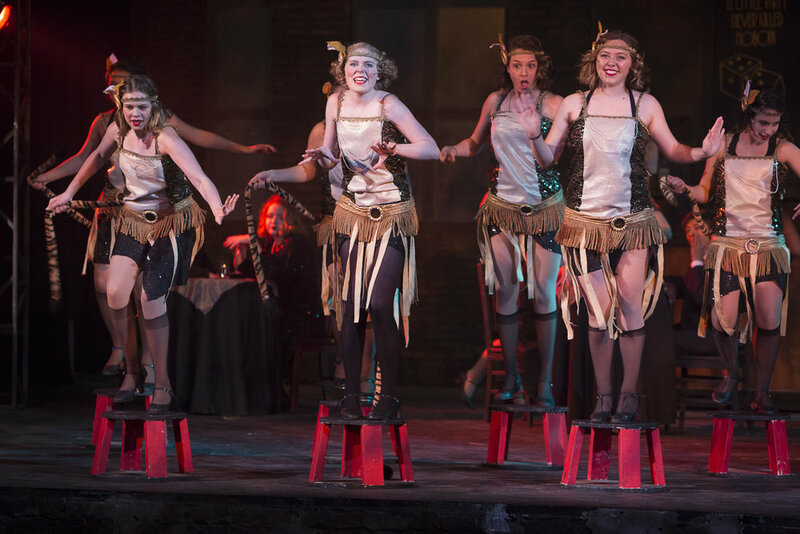 Bullets Over Broadway received six 2014 Tony Award nominations, including Best Book of a Musical, Featured Actor in a Musical, Best Scenic Design, Best Costume Design, Best Choreography, and Best Orchestration.